Ubisoft has released a Christmas themed live-action trailer for The Division. The video is shot at the Fox Studios lot in LA and is directed by Xavier Gens (Hitman). A young boy standing in the middle of a snowy street begins to sing “Silent Night.” A beautiful carol that then……..well I wont spoil it for you but it takes a dark and eerie turn! The Division launches on 8th March 2016 on Xbox One. Everyone who pre-orders the game gets access to a beta that is scheduled to begin in early 16, but there is no official date yet. An alpha test for The Division was held on Xbox One last week, but participants were prohibited from sharing images, video, and descriptions of what they played. 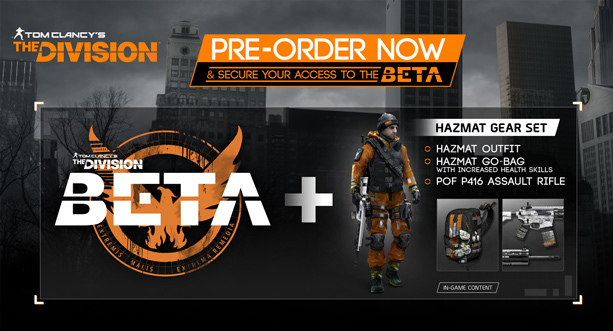 Will you be pre-ordering The Division, I know I will!